I hope you enjoyed my first blog and learning a bit about me! 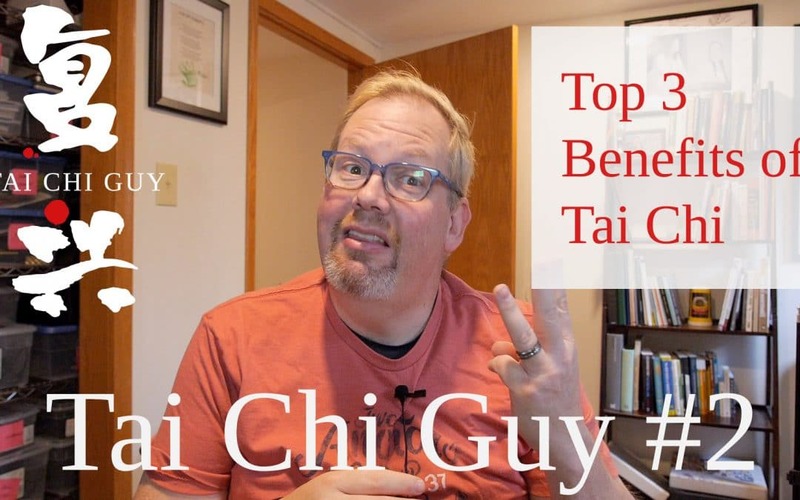 In this blog, I want to talk about the top three benefits that you can gain from practicing Tai Chi. There are tons of things that I see and hear from students in my classes all the time. I want to narrow that down to the top three benefits that come into your life once you start practicing Tai Chi. Number one is something that I hear almost inevitably in any of our classes. We have a regular practice where we go around the room and everyone introduce ourselves and tell a bit of our Tai Chi story whenever we have new students. Whenever we do this I would say at least 98% of the time the first thing participants talk about is balance. So my #1 has to be balance. Tai Chi is essentially a one-legged exercise that we do all the time. Transfer of weight is one of the key concepts that’s involved in Tai Chi and doing the movements we do. Consequently, improved balance is one of the biggest benefits that people reap. So it’s really no surprise that many of the people who come to our classes suffer from chronic conditions. Many of our students may be recovering from a fall, or maybe they’ve had a joint replacement done. It can also be preventative, some of our students recovering from a fall are also learning Tai Chi to help prevent future falls by improving their balance. However, even if you don’t have one of these chronic conditions Tai Chi can still help you gain better balance. That’s definitely something that I found almost right away. I suddenly had tons of balance that I never knew I had! 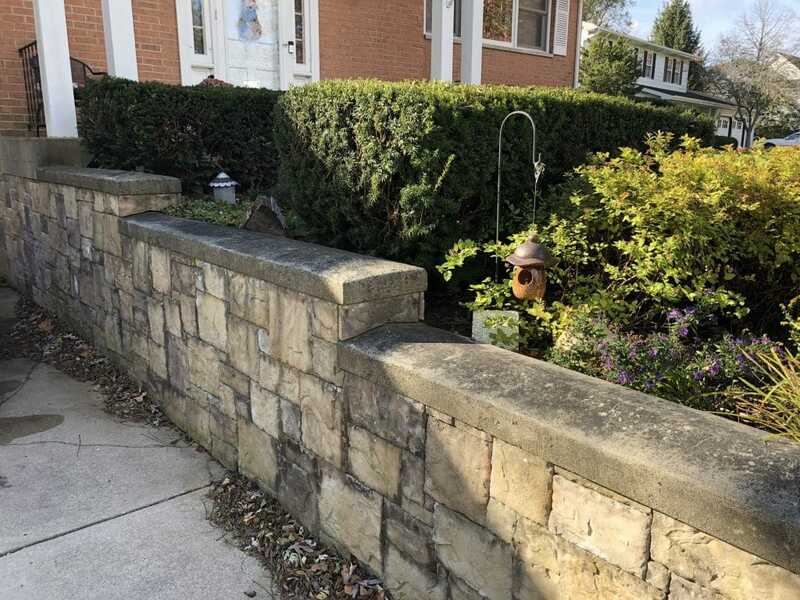 I never pictured myself as a graceful person with tons of balance all the time but it came to me when I might be out gardening and suddenly I can walk on a retaining wall without any issue. I was able to test my balance doing my gardening along this pesky retaining wall! Something my newfound balance also improved was my hiking. I could tackle all sorts of terrain and grades that might have given me trouble before without any difficulty. It’s not a panacea, you can definitely still fall (as I recently did when my dogs decided to climb the stairs at the same time I was!). However, Tai Chi helps enormously with balance and it’s one of the top things our students always share with us when talking about how Tai Chi has changed their lives. What’s the difference between strength and core strength? Well, if you’ve spent any time at the gym most people working out and most personal trainers spend a great deal of time building power or relative strength. To their credit, most personal trainers spend time on core strength as well, it’s up to the individual to work on it though. What is generally referred to as “core strength” is the connective tissues around our skeletal system. These tissues are comprised of tendons, ligaments, fascia and other deep tissue muscles. The modern western exercises for building core strength tend to be a bit more repetitive and require a commitment to something that often doesn’t have visible or measurable results. Enter Tai Chi. The slow, smooth, graceful movements of Tai Chi are perfect for buidling core strength and even regain bone desnsity. As far back as 1996 two studies sponsored by the National Insitute on Aging found measurable increases in balance and strength while another found a reduction in fall rates by nearly 50 percent. More recently Dr. Gloria Yeh, an assistant professor at Harvard Medical school said, “Tai chi strengthens both the lower and upper extremities and also the core muscles of the back and abdomen.” In fact, a new study has just started looking at a combination of Tai Chi and core strength training to identify the synergies between the two. What this core strength improvement overall leads to is an alleviation of pain. Many people who suffer from osteoarthritis, rheumatoid arthritis, fibromyalgia, and other chronic conditions have turned to Tai Chi as a way to improve their conditions versus masking the symptoms or using other therapies. When core strength is improved it strengthens the joints and can alleviate and even reverse many conditions. I’m not a doctor, nor do I play one on television, but I can say from my own experience Tai Chi has helped me with nagging arthritic conditions in my hips and knees I had from years of carrying excessive weight. I can only share with you my experience after taking 4 to 6 ibuprofen tablets at a time every day for years. I’d go to the drug store, buy another giant bottle and get ready to do it all over again. I no longer take any such medications. While losing a lot of weight definitely had an impact there I still had pain after losing the weight and Tai Chi has helped me eliminate it almost completely. Again, the studies, like some I’ve already cited, are out there. Also, arthritis foundations across the world such as Australia and the United States have endorsed Tai Chi as an effective treatment for many kinds of arthritis. I saved #3 for last because it’s really my favorite benefit of Tai Chi. I’m a digital and “wired” person who lives a connected life even before I carried a PDA for years and bought the first iPhone the first weekend it was on sale. I think the digital revolution has had a huge impact on our lives, you wouldn’t be reading this right now if that weren’t the case. But, you can get so caught up in them making it difficult to disconnect or unplug. What Tai Chi gives us is serenity. Tai Chi gives you an opportunity to disconnect from the digital world as well as the outside world and connect within yourself and your body. It’s not a complete disconnection like you were on some drug or something where you have no clue what’s going on. It’s actually the opposite of that! The feeling is like a hyper boosted connection with your body that puts you in a state where you are much more in aware touch with your body, your breathing and what you’re feeling. In this state you let your mind disconnect from all the different things your mind wants to wander and do and even some of the disruptions around you. In Tai Chi we refer to this as the jing state. I’m sure I’ll have a blog that takes a deep dive into jing but for now, I can say it’s one of the biggest beauties about Tai Chi and is one of my favorite things about doing it. Whether you’re a designer, marketer, or other professional stuck at a desk all day, or you have another job you have difficulty not taking home with you, Tai Chi can help you get unplugged and decompress. While camping (or “glamping” as I like to do) is my #1 recommendation for doing this, Tai Chi is a close second and I love to do Tai Chi when I camp so I have all my bases for getting unplugged covered! 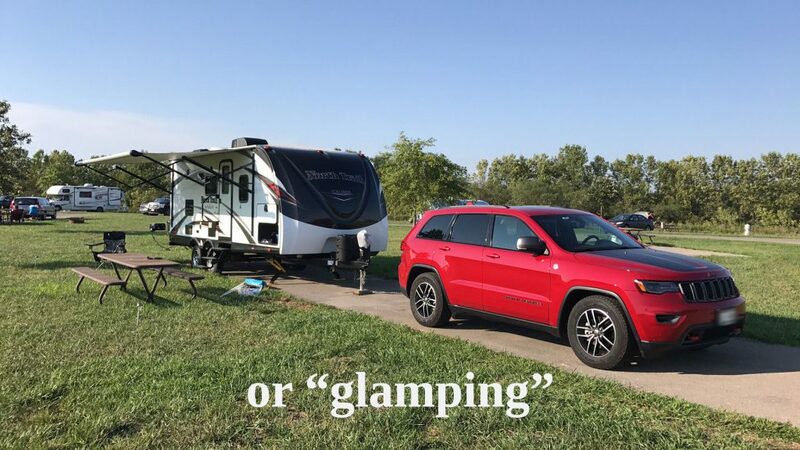 Glamping is my top recommended disconnect. Although you can definitely reach the jing state doing Tai Chi and glamping! While I can’t guarantee you’ll achieve a jing state in any given Tai Chi practice session. In fact, I can’t guarantee you’ll experience it right away or at all. but most of our students have shared they’re able to achieve it through regular practice and I highly recommend it. It’s an incredible experience. 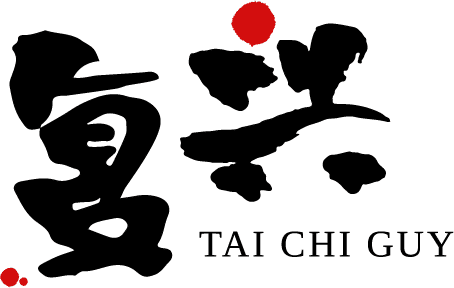 I hope you’ve enjoyed reading my top three benefits from practicing Tai Chi. If you practice Tai Chi yourself or take it up after spending some time here, I’d love to hear from you on your exeprience and what your Top 3 would be!